QDA city is a new housing society development project. 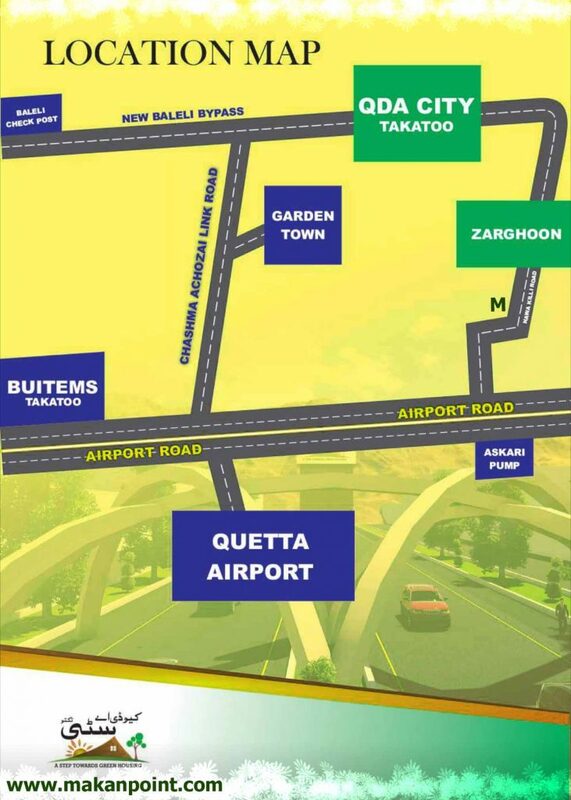 Qda city is launched by Quetta development authority. The purpose of this housing is to make a new city. Qda city is located near takatu mountain at the northern side of Quetta. Qda city will have a size of 230 acres almost the size of zarghoon housing scheme. Qda city is a step towards green future as this area is said to have plenty of ground water. 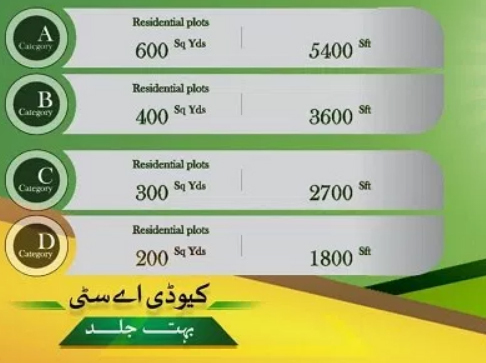 the housing scheme is at a distance of 3 kilometers from Quetta airport and 12 kilometers from GPO chok. 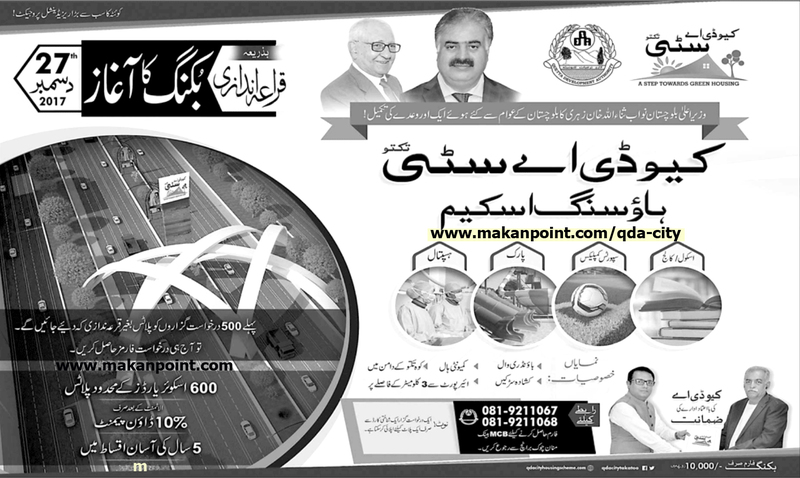 Qda also have other housing schemes in Quetta which are in progress. The housing project will include the following developments. Plot sizes: 600, 400, 300 and 200 yards residential. Booking will start form 27 december 2017. there will be a draw latter. 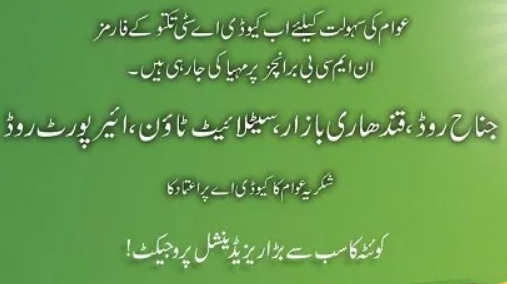 Price details: form price 10000 rupees. 10% down payment. 5 years installment plan. 800 rupees per foot. For forms please contact MCB bank, Jinnah road, airport road, satellite town and manan chok branch. Some people are asking for a more transparent system. the heading in the local news paper says that the draw must be carried out under the supervision of numerous authorities. The 10000 rupees price for the form might be expensive for the general public. There are no smaller plots in the Qda city like the 80 yards plot in chiltan housing scheme. Qda city is after all a great initiative. Quetta needs town planning. 1.Click here to Read about zarghoon houisng scheme. 3. Click here to read artilce about renting your porperty to multinational company.